This handy printable may be used throughout the year to help students to recognize how to write complete sentences. 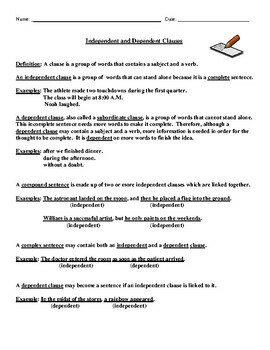 Filled with definitions, rules, and examples, this handout delineates the differences between independent and dependent sentences as well as complex and compound sentences. It's a must-have for those teachers who want a simple but complete way to teach clauses.